I attended a piano recital my grandkids played in last night. The performers ranged in age from about 5 to 14. The performers’ skills demonstrated everything from super beginner, first recital, barely able to reach the pedals and eek out Jingle Bells, all the way up to a classical piece played from memory with no sheet music. A speedy little dark field figurative monotype pulled from a sheet of plexiglass in 2006, waiting all this time for me to get to him. The range of proficiency, and the growth I’ve witnessed in the skills of the kids over the past few years struck me on a couple of levels. Some of them are so young, they don’t know to be self conscious yet. At the same time, they’re getting comfortable sharing their hard earned, though humble new skill with a room full of strangers. Can you imagine doing that with your art? Could you pull a curtain to reveal everything you’ve made this year displayed on a stage, and take a beaming-smile bow at the the applause for your effort, and not necessarily at the outcome? At the kitchen counter after dinner – adding watercolor and colored pencil to refine the figure in the monotype. And deciding to add another figure out by the shore to make him less lonesome. There were little performers who were tense and mechanical in their keystrokes, practically counting out the beat aloud to themselves. Compared to the same-age kids who didn’t need sheet music – the ones who sat at the bench with ease, and had a palpable “feel” for the music, the determined ones were a testimonial to working hard at something you love, no matter how you compare to others. I had overwhelming affection for the earnestness of the kids who had to fight for the music. It put a lump in my throat, and makes me weepy-eyed all over again to think about it. I too am the fumbling, determined, repetitious learner. Plus, I’m late to the party. Thank all the muses to every piece of music ever written for those wise parents, arranging piano lessons and frequent practice for their littles. Dan Coyle wrote that Greatness isn’t Born, It’s Grown. I believe that with all my heart, and I’m so grateful it works that way. Late is better than never. Using family photos (this was inspired by a tiny photo of my maternal grandfather in the early 1930’s) for a figurative monotype is a chance to spend time with your subject, even if they aren’t here any more. Art – of any kind – comes easier for some than others. If you are the kid who had to fight with all your heart to make something, and it still didn’t measure up to another kid who made a perfect drawing in half the time – don’t you dare give up. I’m sitting on the piano bench, hip-to-hip, nudging you to pay attention. Don’t choose to let comparison be the judge of your creative output. The only person you should be comparing today’s artwork efforts to is yourself, last week. Work at getting better than you were before. And please don’t ever let someone else’s opinion drive your creative car. The finished monotype, with the added figure in the background. Back in the 20’s & 30’s – a man’s chest was considered too provocative, so swimsuits were more like a shirt, until this new style came out. Alfonse is wearing his Jantzen Topper swimsuit. Everyone wants to be good at SOMETHING. If you must be good at something too, and you chose art, but now you’re not making stuff because it’s hard – consider Directing your Good-Meter at something that comes easier (Petting the cat. Picking flowers, etc.) Then, brush off your hands, take a deep breath, and revisit your art with fresh eyes. Ask your surveying-mind to take a nap, and focus instead on the Process. Find joy in the outlet, the purge, the creation of color, the expression and delight in making something with your hands. Forget the end result. Embody all the earnestness of a five year old, rocking to and fro, mouthing the notes while banging each key with a determined index finger at the piano. Make stuff all the time, without waiting for the praise, the applause, or the grade. Don’t compare. Grab a pencil and just start. Don’t you dare give up. P.S. You can subscribe to get each new post as soon as it’s published via email by signing up here. If you’d like to make a monotype, here is a playlist of tutorials on a variety of methods to try at home. Instead of shooting arrows at someone else’s target, which I’ve never been very good at, I make my own target around wherever my arrow happens to have landed. You shoot your arrow and then you paint your bulls eye around it, and therefore you have hit the target dead center. I’m a long time follower of your art. I think it amazing how you convert dark field monotypes into lovely finished pieces. 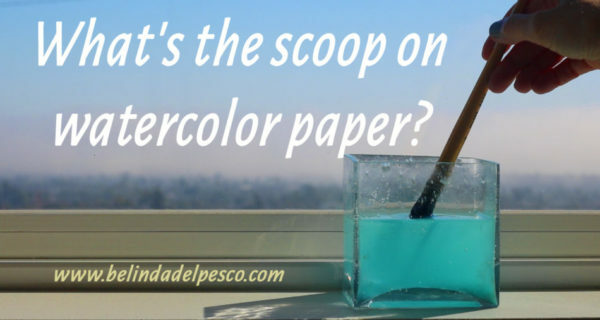 Your use of watercolor and waxy colored pencils is a great lesson in agility for works on paper! Hi John! Yes, I remember your nice comments on previous posts. You’re a printmaker, no? Thanks for your encouragement. 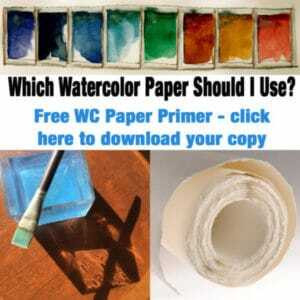 I hope you give watercolor and colored pencil a try on some of your printmaking too. The colored pencil sticks especially well to oil based printmaking inks, and AKua ink too. I have yet to test it on Charbonnel. Which inks do you use? Wonderful thoughts as always. And I love the quote. See I nailed it! Both funny and true. Happy holidays. Thank you for this post, Belinda. Hello Belinda. I was routed to your site by our mutual friend, high-energy artist & powerhouse of celebratory life-force, Joyce Lieberman. I’ll be thanking her for sure. I’m also copying your wise blog message, with captivating narrative, to my goddaughters to encourage their teenage searches for “being good at something.” I’m old now and enjoy looking thru my earlier artworks & anthro career, but my focus in this decade is to relish my lifetime dream job & consummate skill at petting cats & being a waitress in my kitty cafe. Purrfect–and you give me such articulate validation. Thank you! Hello there Martha! Thanks for this lovely note! I hope your Good-at-Something discussion is fun, fruitful and thought provoking with your god daughters. I think the noble task of companionship and care & feeding of four-legged furries is a highly esteemed and much sought after pursuit! I applaud your dream job! Carry on, Madame! And thanks for mentioning our friend Joyce! Did she tell you how we met? She’s a peach, that one! Thanks for your encouragement to keep at it—do something every day. I’ve made a push recently to do just that. And the results are great so far. Sometimes a nudge is all we need! Hi Jeanne, Bravo on your push to make a little something as often as possible. I’m so glad it’s working, and I hope the results are a room full of balloons in your mind to celebrate that you’re back at it! Stay in, my friend! I casually mentioned to my painting teacher that my sister is the REAL artist with an art degree. She told me, “Oh I hear that all the time.” That was so affirming and now I see that my artwork is developing in different ways than my sister’s. We just have different challenges. Excellent advice on the mental attitude to our own art creation. I often feel frustrated that I cant paint like Van Gogh but recently have been more realistic and just got on with it!